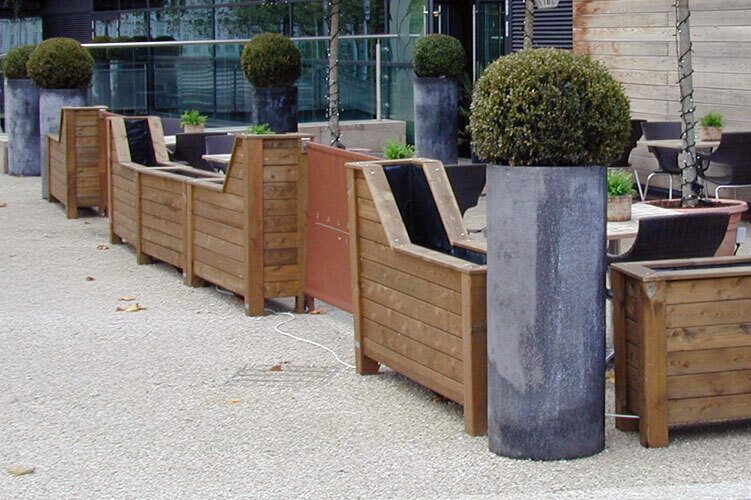 Taylor Made Planters provide quality, custom-made cafe barrier planters. When you need to make a great first impression in a competitive market, planters can enhance your commercial appearance and improve the functionality of exterior space. Strategically placed barrier planters can section off seating areas and direct traffic flow, allowing you to create a welcoming and appealing dining area for your customers to enjoy. 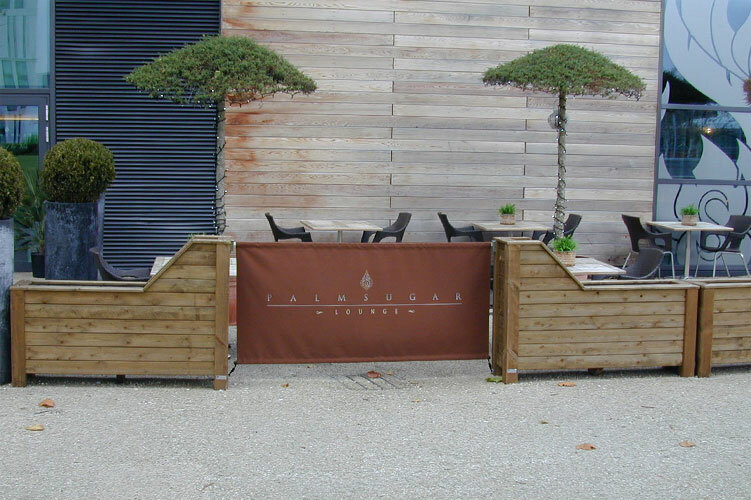 With our bespoke service, your planters will look exactly how you want them to, with brackets included in the design to attach your cafe banners. We also supply the printed canvas banners with branding to go in between each barrier so you can effectively promote your business. Our expert craftsmen only work with the highest quality materials to ensure that our products are durable and long-lasting. Get in touch for a quote! Palm Sugar Lounge Bar wanted something unique and eye-catching to enclose their pavement seating area, without going down the standard barrier route. Taylor Made got to work on a couple of designs to suit the space they had. 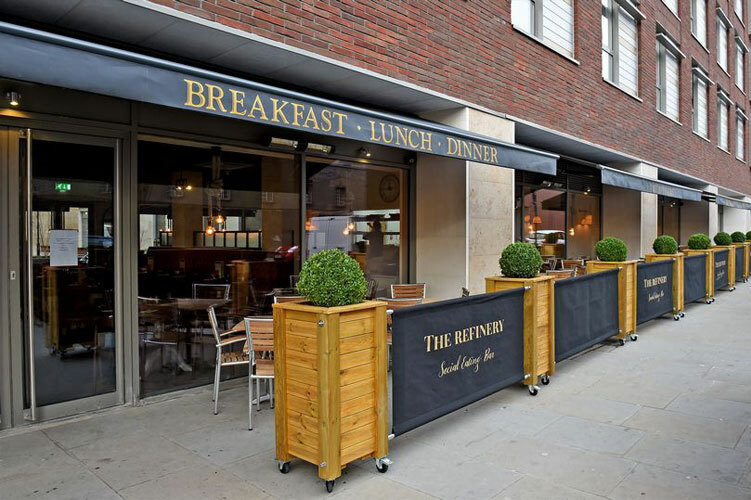 We decided on traditional timber Classic Planters with a Light Oak Stain finish to compliment the exterior cladding, and customised the barriers near the entrance with a sloping top, to create a beautiful seating area for the dining customers. Branded canvasses were attached along sections of the barriers to project a professional image. The Refinery needed portable and attractive street planters to create a secluded dining area outside the restaurant. Taylor Made came up with a simple yet effective solution to make a big impact on a small outdoor space. 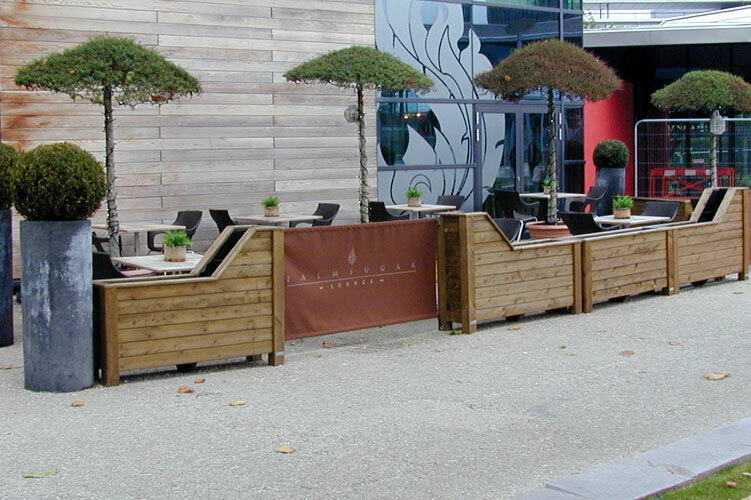 We custom built fifteen 500 x 500 x 1000H Classic Planters in quality timber situated on robust castors so they can be easily moved at the end of the night. The versatility of the design means that the system can be repositioned to create multiple outdoor areas in a variety of shapes and sizes. Canvas banners extend the length of the cafe barriers and increase brand awareness in a competitive pavement cafe market.